Located in Webster Springs, West Virginia, Baker's Island Recreation Area is a park located on a 7-acre island in the Elk River. It is Webster County's most popular park and includes a ball field, basketball courts, a walking trail, a playground, an Olympic-size swimming pool, and public river access. When major flooding occurred in June 2016, the entire park was submerged and covered in silt, causing $1 million in damage. Later, FEMA approved funding to repair the pool, replace the walking trail, and build a new pedestrian bridge. The original footbridge, which provided pedestrians access to the park over Elk River, was damaged beyond repair during the storm. 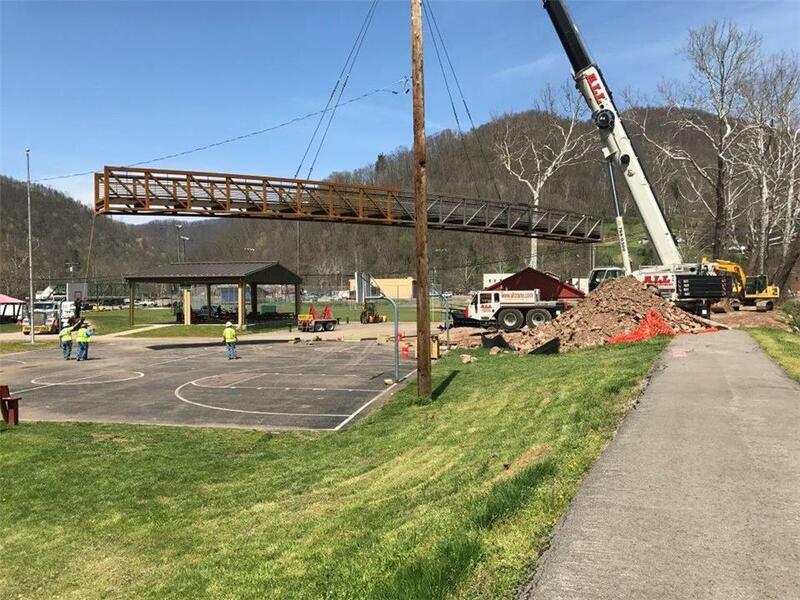 "The existing Webster Springs pedestrian bridge was severely impacted by flooding on June 23, 2016," stated Larry P. Clegg, P.E., Project Manager with CDM Smith, the project's engineer on record. "This bridge provides a vital link between the downtown area and Baker Island." 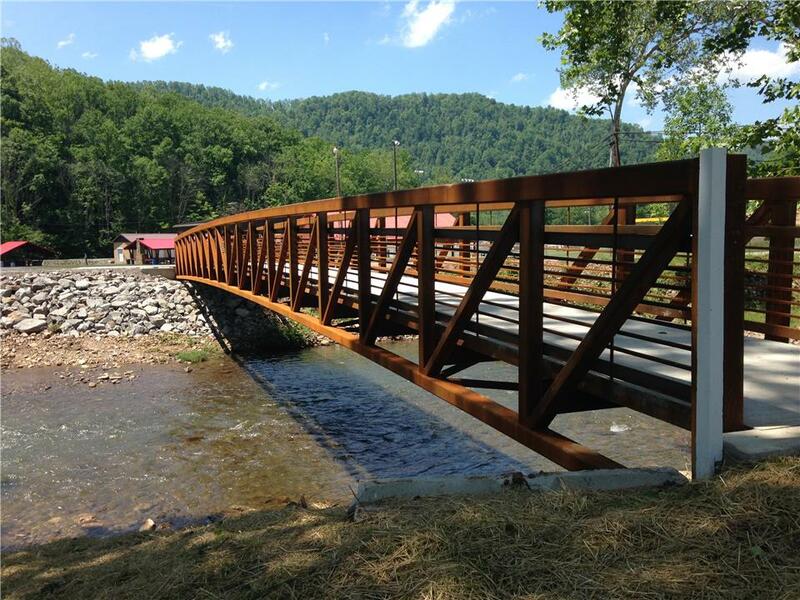 As the best replacement solution, a 130' x 8' EXPRESS® Continental Pedestrian Bridge from Contech Engineered Solutions was selected for its quality control, support throughout the design and construction phases, low maintenance, and ability to meet the extremely tight deadline. It was imperative that the new structure be installed before the Webster County Woodchopping Festival scheduled for Memorial Day weekend. The festival draws the world's top timber sport competitors and with more than 12,000 fans attending, it generates a significant amount of revenue for the area. The pre-engineered design of the EXPRESS truss system provided a quick turnaround, which was necessary for the project's success. Stamped drawings were provided within three business days after receipt of the order, and the bridge was ready for delivery just six weeks later, significantly reducing construction time. "In January 2017, the town was able to secure funding for the replacement," added Clegg. "CDM Smith completed the engineering and the contractor, Jim Construction, was selected in late February. Contech had the bridge fabricated and on site in mid April, which allowed the contractor to complete the bridge replacement in early May." Once the bridge was delivered to the site, installation occurred in just one day with a single crane pick. "Contech was the only fabricator that could meet the tight deadlines required by the project," concluded Clegg.